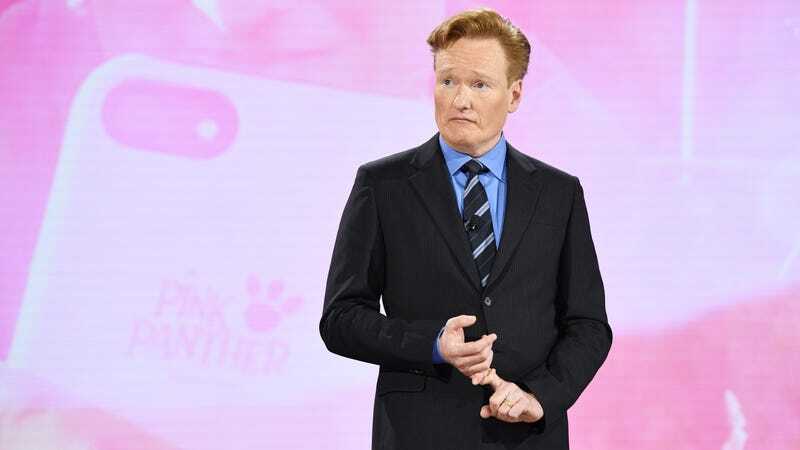 People love to accuse Conan O’Brien of stealing their jokes, but one spurned comedy writer has enough of a claim against O’Brien, Conaco, TBS, and Time Warner that his dispute’s been bouncing around courtrooms for roughly four years. The trial is set to start in earnest next month and the news that the majority of it will be open to the public should be exciting for fans of Patton Oswalt, who, as a Conan regular, will reportedly join Andy Richter and Conan himself on the stand, per The Hollywood Reporter. The plaintiff, Alex Kaseberg, unfortunately doesn’t have the same star wattage on his side, as the judge has decided to veto two of his expert witnesses. One, Dr. David Barsky, was slated to expound on comedic patterns between Kaseberg and Conan, but was nixed due to his statistical model having been “prepared for the purpose of testifying” and thereby compromised. As for comedian Elayne Boosler, who was “intended to address the substantial similarity of the jokes,” the judge says her evidence is “neither necessary nor helpful,” which, ouch. Hopefully a resolution is reached soon, lest we continue to revisit the very bad Caitlyn Jenner and Tom Brady jokes in question.